you to play with this week! I could stamp blooms from Modern Blooms ALL day! I'm happy you stopped by and be sure to visit the MFT Challenge Blog to see what my amazingly talented team mates created using this weeks Color Challenge! Gorgeous! 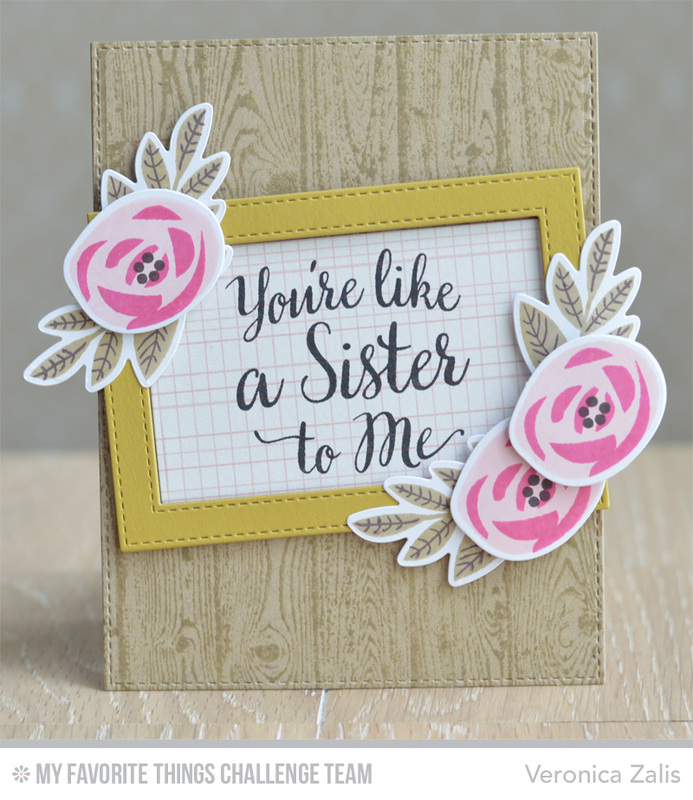 Love that wood background stamp and the gorgeous flowers! Fantastic card Veronica, love that sentiment. This card is AAAAAmazing!!! I love everything about it. MFT Sketch Challenge 230 - Happy Dad's Day! MFT Sketch 229 Bonus Card - Hey Chick! MFT Sketch Challenge 229 - Hogs and Kisses! MFT Sketch Challenge 228 - I Hope Your Day Rocks! MFT Inspired By.. An Inspiration Celebration!